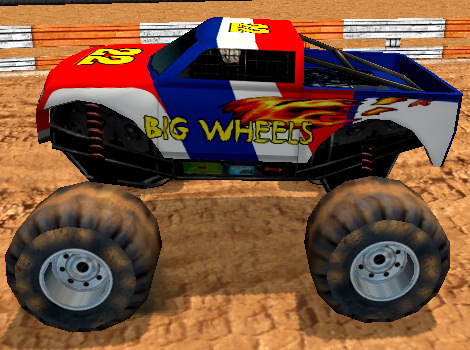 Description Race with big monster trucks on various tracks. Stunning 3D tracks and trucks with jumps and driving over other cars will give you lots to explore. Win races to unlock new tracks and new monster trucks. Can you win the races against the computer controlled monster trucks? Controls Arrow keys to drive. Spacebar to use the handbrake to drift.